South America, 1926. 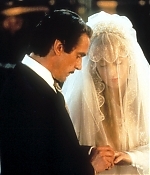 Esteban (Jeremy Irons) falls in love with Rosa, the daughter of a rich man. Before the two marry, Rosa is killed by poison meant for her father. 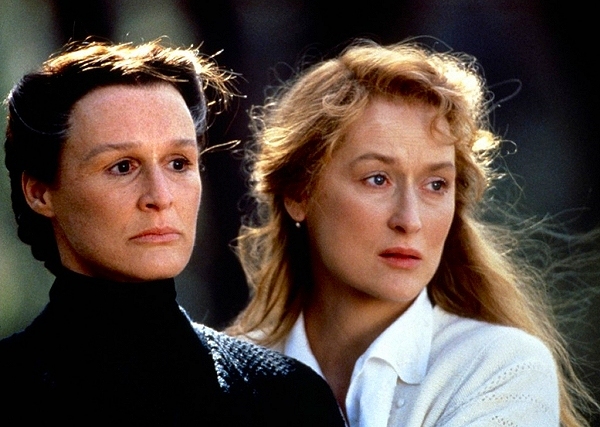 When he returns to the city 20 years later, he meets Rosa's younger sister Clara (Meryl Streep), now a woman with telekinetic abilities. 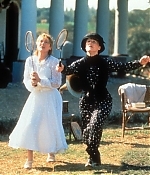 Esteban and Clara marry and have a daughter, Blanca (Winona Ryder). When the country is in the throes of revolution, Blanca falls in love with the son of one of Esteban's foremen (Antonio Banderas), much to her father's dismay. Love and War will change the Trueba family forever. Based on Isabel Allende's bestselling book "La casa de los esp�ritus", the story details the life of the Trueba family, spanning four generations, and tracing the post-colonial social and political upheavals of the Latin American country they live in. The story is told mainly from the perspective of two protagonists (Esteban and Alba - who's Blanca's daughter and plays only a minor role in the film) and incorporates elements of magic realism. The book was first conceived by Isabel Allende when she received news that her one hundred year-old grandfather was dying, and she began to write him a letter that ultimately became the starting manuscript of "The House of the Spirits". The rights were bought by German producer Bernd Eichinger who helmed the international production of the movie adaptation with the German Neue Constantin Film, under the direction of Danish Bille August. 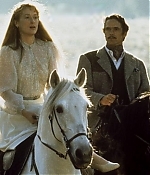 Jeremy Irons was the first actor on board, and with his help Meryl Streep and Glenn Close, two of his former co-stars, joined the family saga. While the film won some minor awards, mostly in Germany (Bavarian Film Awards, German Film Awards, Golden Screen), it was viewed as a critical failure (two oft-cited reasons were its diffusely episodic structure and a cast of mostly Anglo American actors in Latin American roles) and a box office bomb (it made back only $6.2 million of its $40 million budget).